What are you seeking today? 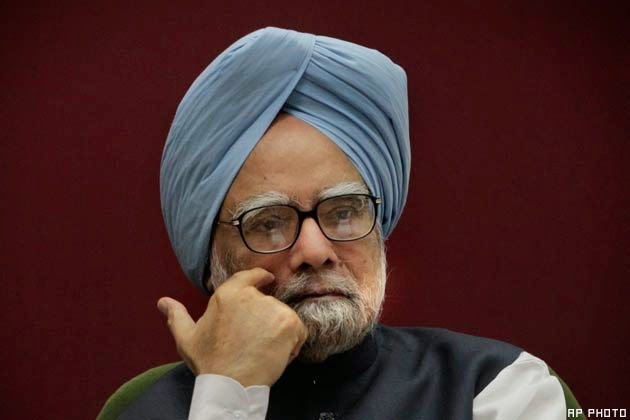 'I do not want you to project my image' says Prime Minister Manmohan Singh categorically at one instance to his media advisor Sanjaya Baru, whose principle job is to project his image. 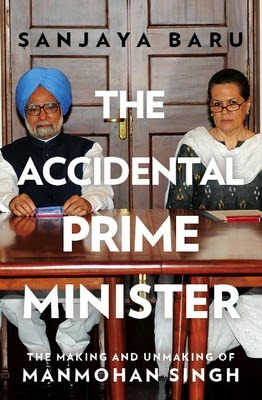 This is a one line summary of 'The Accidental Prime Minister: The making and unmaking of Manmohan Singh', Baru’s worthy account of his years in the Prime Minister’s Office. The Prime Minister is the most powerful person in the country, powerful enough to change the destiny of the country with his decisions. But Manmohan Singh, squandered that opportunity and remained a subservient authority all throughout his term. It was precisely this quality of his, which made Sonia Gandhi pick him for the top job from a host of contenders in the Congress party. Baru writes that whenever the Prime Minister got to know that his popularity ratings were lower than that of Sonia Gandhi, he would feel happy and contended. Sanjaya Baru devotes a considerable space in the book to describe the self made legacy of Dr. Singh. He came from very humble origins and made a mark for himself in Lutyens Delhi with his loyalty and intelligence. There are very few success stories to match that of Manmohan Singh. After completing his education from Punjab University, he studied at Cambridge and Oxford with the scholarship granted by the Punjab government. He had to later come and work for it. It was the yesteryear politician, Lalit Narayan Mishra who made him a Secretary in the Commerce and Trade Ministry. After that there has been no looking back for Dr. Singh. He gained the trust of Indira Gandhi and later Rajiv Gandhi. He was made the Deputy Chairman of the Planning Commission during Indira Gandhi’s premiership and later Governor of the Reserve Bank of India by the then Finance Minister Pranab Mukherjee. What shot him to fame was his tenure as Finance Minister in P.V Narasimha Rao’s cabinet. What Rao told him- “You handle the economics and I’ll handle the politics” is now part of the liberalisation legend. Rao gave a free hand to implement policies and Dr. Singh did a commendable job. He was later made the Leader of Opposition in the Rajya Sabha in 1999, by Sonia Gandhi, by which time he had earned her trust too. Baru had written an editorial in Business Standard in 1998 that if Congress gets the majority, Manmohan Singh should be made the PM. He says his column became a matter of ridicule then. But Baru had guessed the consensus candidate (read Sonia’s candidate) right, given Sonia Gandhi’s foreign origin. Asked what would be the stand out achievement during his 10 years in office, in his farewell press conference in February 2014, Prime Minister Singh answered- “Indo-US Nuclear Deal”. Sanjaya Baru writes about the deal in detail. There was a point where the negotiations with the Left parties failed and Dr. Singh was ready to resign. Sanjaya Baru mentions how he and Mrs. Singh sat him down and offered their advice to not resign and yield to the Left’s change in stance and blackmail. When M.K Narayanan, the National Security Advisor, was not on board with many key clauses in the Nuclear deal, Dr. Singh reportedly told him- “Mike, you were an intelligence officer throughout your life. Nobody knows you. If this deal falls out, I’ll have my legacy at least as a Finance Minister. What is your legacy? This deal offers you a chance to leave behind yours”. It was uncharacteristic of Dr.Singh and this show of spine made him win over the sceptic in Narayanan. The deal finally made the Left Parties withdraw support to Dr. Singh’s government, but the shaky chair of the Prime Minister did not fall. The UPA, Dr. Singh’s coalition made new friends. It later led to the cash for votes scam. Not a single unit of electricity is produced by the nuclear deal till now. It was ironical that in a way, the nuclear deal was also the trigger point for Manmohan Singh’s downfall. Manmohan Singh was the first Prime Minister who did not take briefs from the Intelligence chiefs. The author could not fathom what made Dr. Singh come to this decision. The Prime Minister must be aware of the national security issues. Most of the responsibilities were relegated in the forms for inter-ministerial committees. It is a popular criticism that in Dr. Singh’s government every ministry had its own Prime Minister! Manmohan Singh can’t win elections. He lost the only one he contested. He can’t connect to the people. He was never allowed to. He was never supposed to be ‘The’ Prime Minister. He never became one. But the blame is on his head but not the real centre of power. When history of modern day India will be written, this will definitely be flagged off as an anomaly. May be that is why Manmohan is confident of history judging him kindly. After reading the book, everybody would hope so. Sweet Nothing: While you read the book, it could also occur to you that Dr. Manmohan Singh himself has ghost written this book. The first step in correcting the flawed history. Views are strictly personal. Get in touch by writing to vinaykbiradar@gmail.com. Simple theme. Powered by Blogger.